When they got back, Kristine looked into buying a set of horns for her husband, but shipping such a large package proved difficult. Instead of buying horns, she went down a different route. Kristine found a Longhorn breeder and purchased two steers. Without telling her husband what she was doing, she worked with a friend to halter break the steers after work. 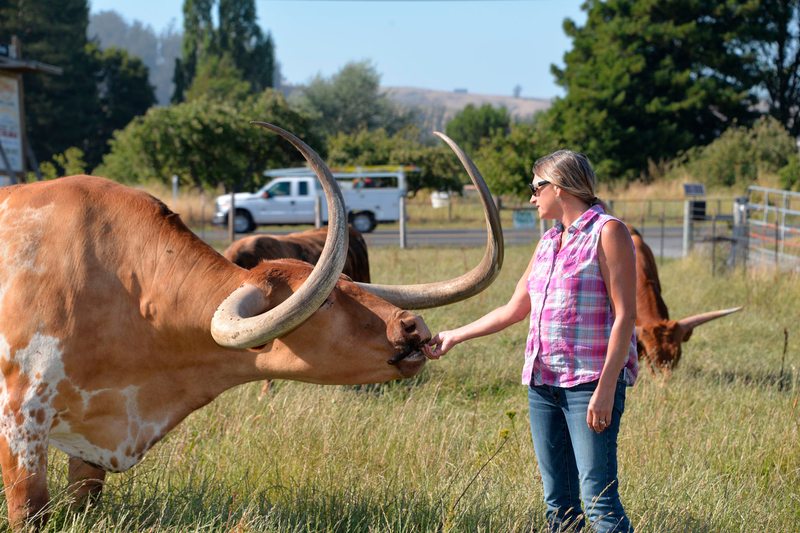 The two Longhorn steers named Rocky and Bullwinkle went back to the Beck’s property west of Petaluma. Rocky, with his large twisted horns, became a pet, the ranch’s mascot and the namesake. The Becks still have Rocky and he lives in the front of their property where many passerby often stop to take a photo. Additionally, the leaner meat was also lower in cholesterol, fat and calories than traditional beef and has more protein. Finding that they preferred longhorn beef, the Becks began to buy more Longhorns. By 2015, David and Kristine had more than 50 head. This year they have 36 head, including cow-calf pairs, two bulls, steers and Rocky. They buy steers from longhorn breeders specifically to raise for meat as well as occasionally purchasing heifers. The Becks said they have a soft spot for the heifers – Kristine names them all, and then it becomes personal and most of the heifers end up staying. Although they aren’t certified, they raise their cattle using organic practices. They also focus on low stress handling and treating animals with compassion and respect. They sell about 20 steers a year for meat. They sell whole steers to the Estero Café in Valley Ford as well as the Sonoma County Meat Company. Individuals can also purchase a whole or half steer and specific cuts of meat online. The Becks said the Longhorns aren’t commercially competitive with other beef breeds, one of the reasons they are less common. They take longer to grow than a traditional European breed such as an Angus or Hereford, maturing around 3 years old instead of 2. At harvest time, steers typically weigh between 950 and 1,000 lbs. David has always been involved with agriculture. 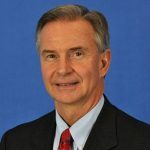 He raised Angus cattle with a partner for many years before selling his portion of that business to focus on the Longhorns. Cattle aren’t the Beck’s full source of income. David owned a hay and trucking business for many years, but as the cost of gas rose to over $4/gallon, he ended his time in the trucking industry. 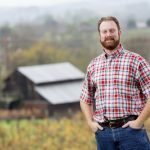 For the last five years he has been working as a technician for the Marin-Sonoma Mosquito Vector Control District. Kristine describes herself growing up as a “typical suburban girl”, working in the software industry until 2012. Now she spends her time working on their beef business as well as vacation rentals. 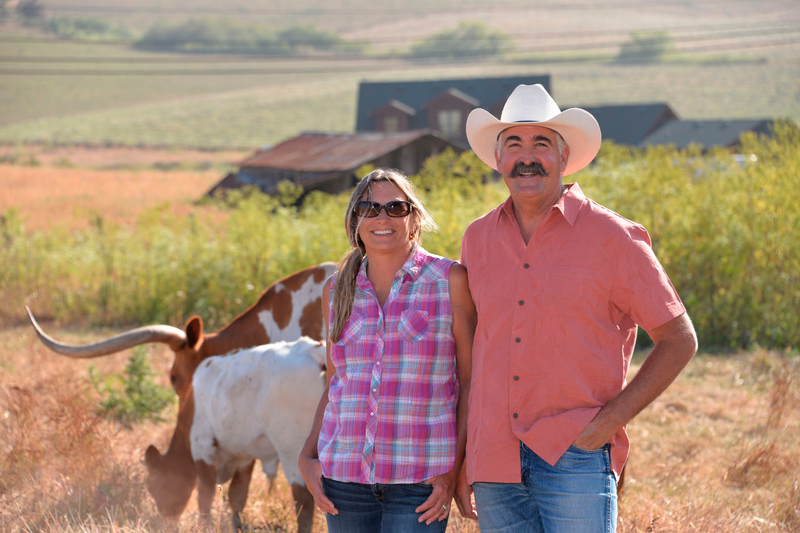 While Davis focuses on the cattle management, Kristine does most of the behind-the-scenes work including invoicing, selling beef, social media and keeping up their website. She also manages their two rentals. They have rented out the rentals to people locally and all around the world, catching an audience of people who are looking for a farm-stay. Kristine said the rentals are a great form of ag education to the general public, she loves meeting the people who stay and spends at least a half hour talking to each of her guests. She leaves local eggs, butter and milk in the rentals and also takes guests out to meet Rocky. Kristine said she has been surprised by how many people don’t know where their food comes from. She enjoys the opportunity to meet and educate guests on a personal basis. The Becks built their house and the rentals themselves in 2008, previously living in a smaller house on the property for 18 years. David’s parents purchased the property with the old house on it in 1962. The Becks describe their life and cattle business as “living the dream.” They love their cattle and the way of life which comes with owning cattle as well as sharing their story and educating people about where their food comes from. For more information on Twisted Horn Ranch and purchasing beef visit twistedhornranch.com.